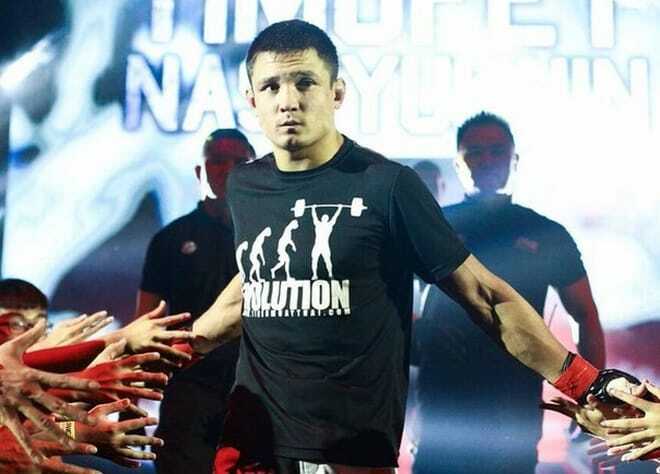 Timofey Nastyukhin (9-1 MMA) one of the best Russian fighters in 145 lbs category. 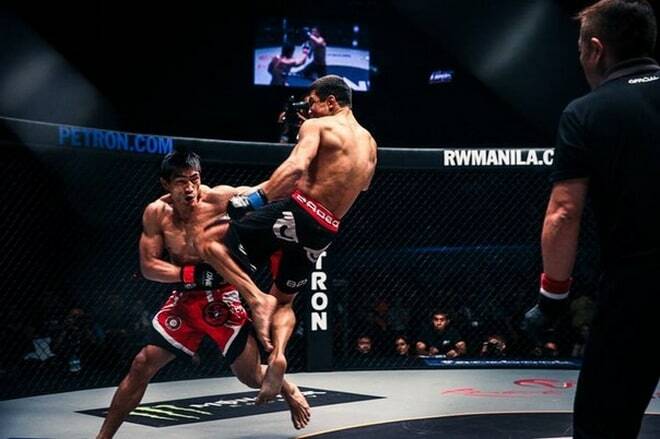 He successfully performs in Asian promotion ONE FC and he already scored two first round finishes. 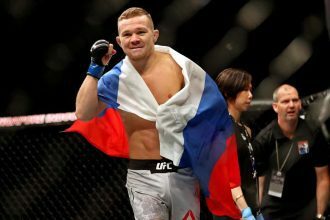 Specially for our website Timofey talks about his bio, his training process and his thoughts about Fedor Emelinenko comeback. What’s up Timofey! At first I want to ask about your health condition? Is everything alright after last fight? Do you fully recovered and do you have any injuries? Hello! Everything’s great, I am 100% injured free. You have pretty spectacular win streak — nine 1-st round finishes in a row. Is it hard for you to keep it up? Do you feel any extra pressure because of this streak? No I don’t feel any pressure at all. Everything depends from your training and your faith. It’s very important to be prepared both mentally and physically for the fight and I don’t have any problems with this. 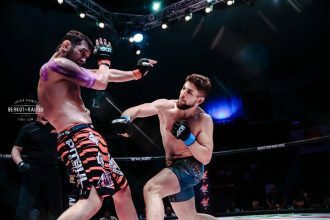 I can’t not to ask you about soccer kicks – you’re probably the first fighter in MMA history which finished your opponent with this technique in two fights in a row. You probably soccer fan? If you had an opportunity do you want go back in time and compete in Pride? In this organization this punch was super popular. I am not paying attention to such things. I just accept the rules which my organization propose to me. If in ONE FC soccer kicks are legal I am going to fit in and use as much techniques as I can. Unfortunately in Pride they didn’t have featherweight so it’s probably not going to happen anyway. And no, I am not a soccer fan, I just like the kicks. Can you tell why did you decide to choose ONE FC? This Asian promotion is not very popular in Russia. Honestly, when I got a proposal from this promotion I never heard about it before. But after I revised every aspect of it including fighters, organization level etc. I didn’t think too long and just accepted it. I think ONE FC is glad that got you. Do you have any information about your next opponent? I don’t have any information yet. Usually they give me the next fight in about 5-6 months after the previous one, so probably it will happen closer to winter. I don’t care about the name, I just will accept opponent which they going to give to me. Do you have any plans regarding your camp? Will you have it at Tiger Muay Thai? By the way, what can you say about this gym? Which sparring partners did you work with? As soon as I get the next opponent I will go to the Tiger Muay Thai for sure. That’s a great camp, a lot of very experienced coaches and sparring partners. Last time I was be able to work with guys from UFC, which got a camp out there preparing to event in Berlin. 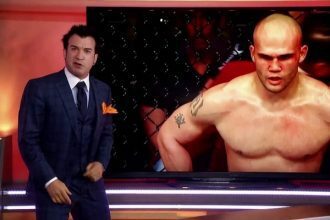 Let’s talk about last events in MMA world. Can you share your thoughts about UFC 189? 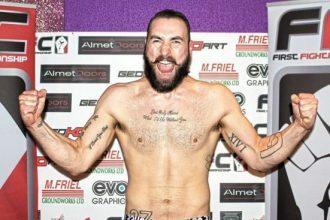 Rory McDonald and Robbie Lawler went to a real war. These guys are true warriors. And regarding main event… I just think that Mendes didn’t have much time to prepare for 5 round fight in two weeks and that’s it. 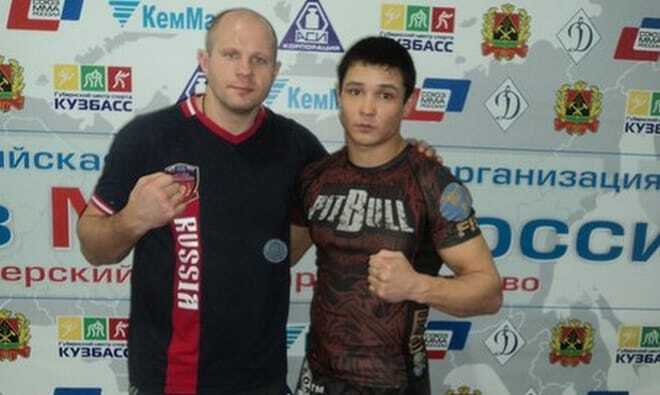 And the last question – what do you think about Fedor comeback? Somewhere in my heart I knew that he would return! I hope he will be patient and can do everything right. He should starts slowly and begins from weaker opponents. I am very excited about it!